Celeris Systems Vice President Rob Enrico shares iRIS® touchscreen dashboard capability with a symposium attendee. 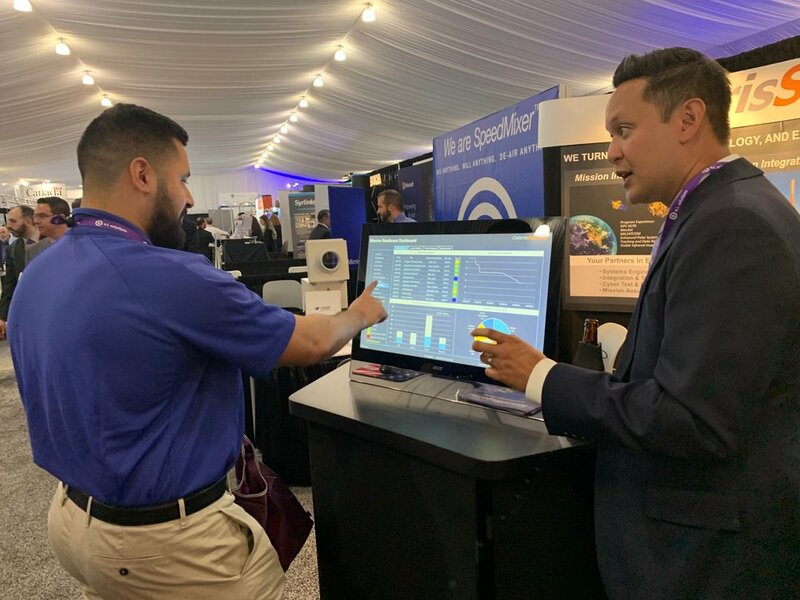 ANAHEIM, CA., April 14, 2019 - Celeris Systems was on site conducting live iRIS® demonstrations April 8-11 at the 35th Annual Space Symposium held in Colorado Springs, CO. In addition to the iRIS® demonstrations, Celeris also shared digital engineering solutions with companies interested in securely connecting, controlling and integrating data using common architectures and open standards to develop complex space-based systems. Headquartered in Anaheim, CA, Celeris Systems, Inc. is a provider of systems engineering, test engineering, project management, earned value management services and technical outsourcing for the world's largest aerospace and defense companies as well as Government agencies.